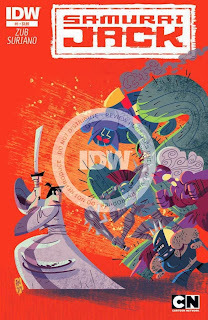 The Fellowship was fortunate enough to obtain a copy of SAMURAI JACK #1 from IDW Publishing. Jim Zub writes and Andy Suriano draws. As always, Jack is seeking the means to return to the past to stop Aku from corrupting the world. In this adventure, Jack learns about an artifact called the Rope of Time, which has been unwound. If he finds the threads and rewinds them, he can go back in time. He finds the first thread in a gladiatorial pit, where he must engage in an epic battle to claim the prize. Clever dialogue and art that’s very reminiscent of the early 2000s animated series are the big draws for me on this book. Suriano does a very nice job of representing the look of the Emmy-winning TV show, and it works well (sometimes these things don’t work). And Zub is the guy to go to for clever dialogue, not to mention fantasy weirdness in general. He’s a perfect fit for this title. Zub and Suriano have really knocked this one out of the park. It’s original where it needs to be, but it’s still familiar like an old friend. You don’t need to be a fan to like this book, but it doesn’t hurt. 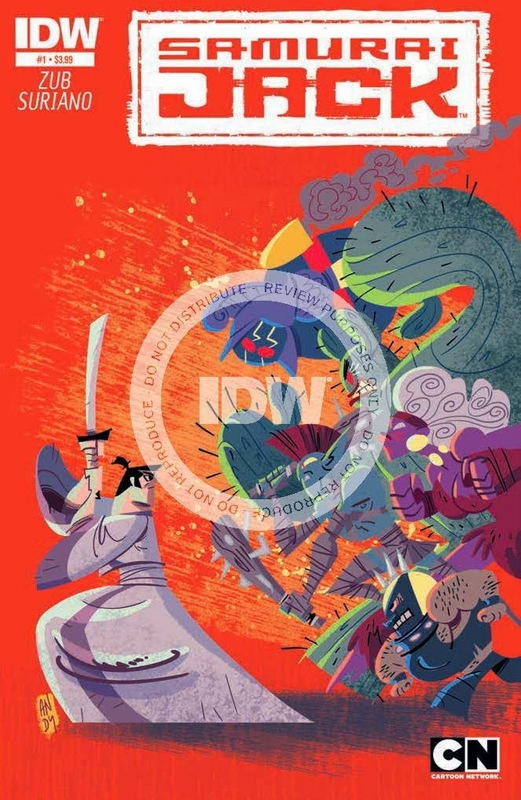 SAMURAI JACK #1 is available now at your FLCS and online at idwpublishing.com.